Arioso - (from Cantata No. 156) is another one of J.S. 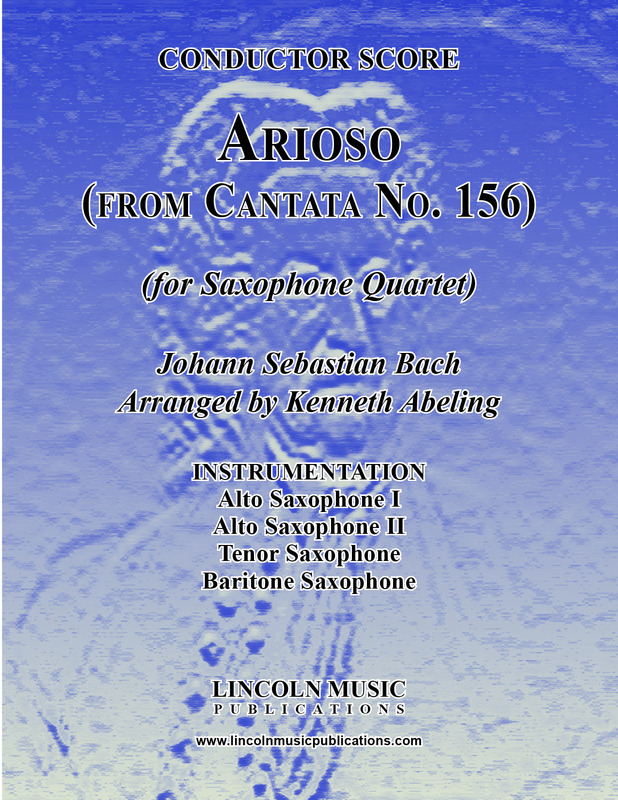 Bach’s most recognizable melodies offered here for Saxophone Quartet. This early intermediate level AATB transcription (a SATB version is available as well) is suitable for a variety of occasions including Weddings!